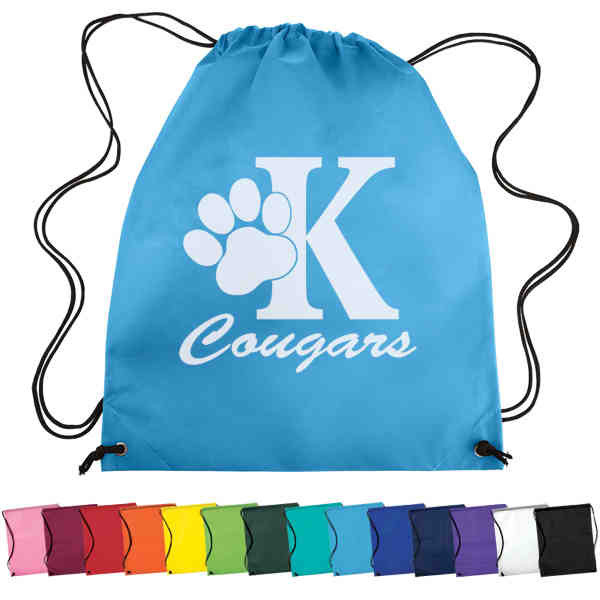 Overseas Direct: 90-120 business days - Pull a different line to draw the attention of potential customers with this Nonwoven Drawstring Cinch-Up Backpack! Made of durable eco-friendly 80 GSM nonwoven polypropylene material, it features a cinch top closure and adjustable soft nylon cord shoulder straps. It has a spacious interior that can carry cans, bottles or other refreshments, along with personal items that your clients want to keep close. Add your company name, logo and marketing message to it to see your brand spread all over. Advertise with a promo tool they'll love! Size: 1/8 " x 14 1/2 " x 17 1/2 "
Any changes made to orders after receipt of initial PO must be made in writing via e-mail or fax. Each change will be billed. All changes made the same day as order shipment will be billed. All changes made the same day as order shipment must be received before 3:00 pm EST. We can insert folded literature into master cartons at no additional charge.